On Sunday(March 25th) Millie Bobby Brown attended The Paley Center for Media's 35th Annual PaleyFest Los Angeles 'Stranger Things' panel at Dolby Theatre in Hollywood, California. While she did pose on the blue carpet at the event, she did show off her look at a different angle via instagram. 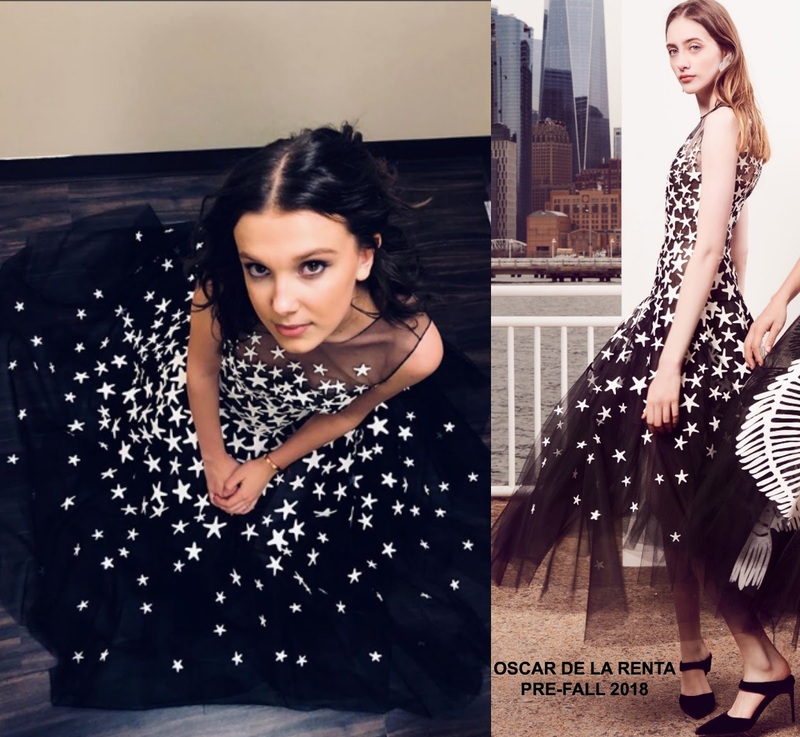 She posed for the gram & attended the panel event wearing a black sleeveless tulle OSCAR DE LA RENTA PRE-FALL 2018 dress with white contrasting white stars. This was one of my favorite looks this week. She looked diving from head to toe and even at this angle, her starry look was a win. She finished up with a complimentary beauty look.